At Christmas I ALWAYS have to have sparkly nails so when this landed in my postbox I was giddy with how delightfully glittery it is! 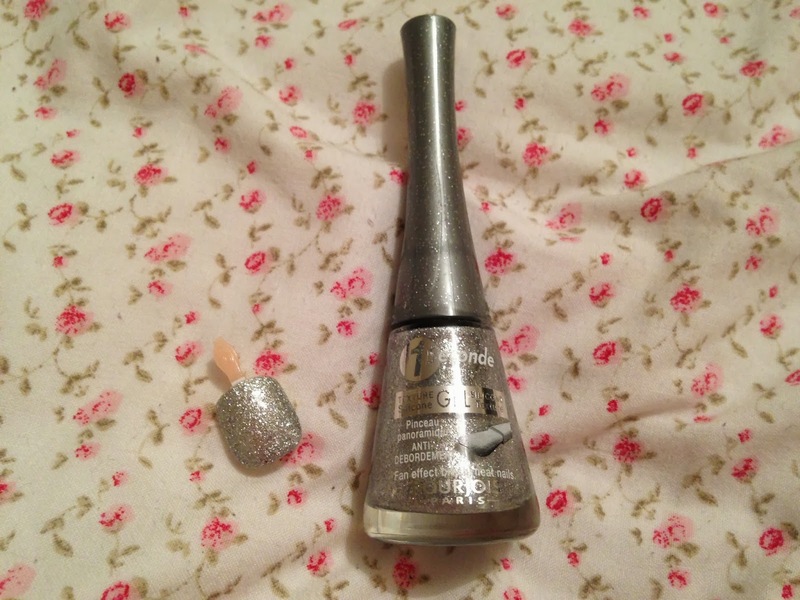 Called 'raining with the stars' this is a densely packed silver glitter polish which paints opaque after two coats. Bourjois have styled the polish by using it to create an inverted French Manicure with a dark red tip. It's a bold look that I will definitely have to try over the next few months! Christmas Countdown... new WEIGHTLOSS Goal! Carb Free Winter Comforts 1..